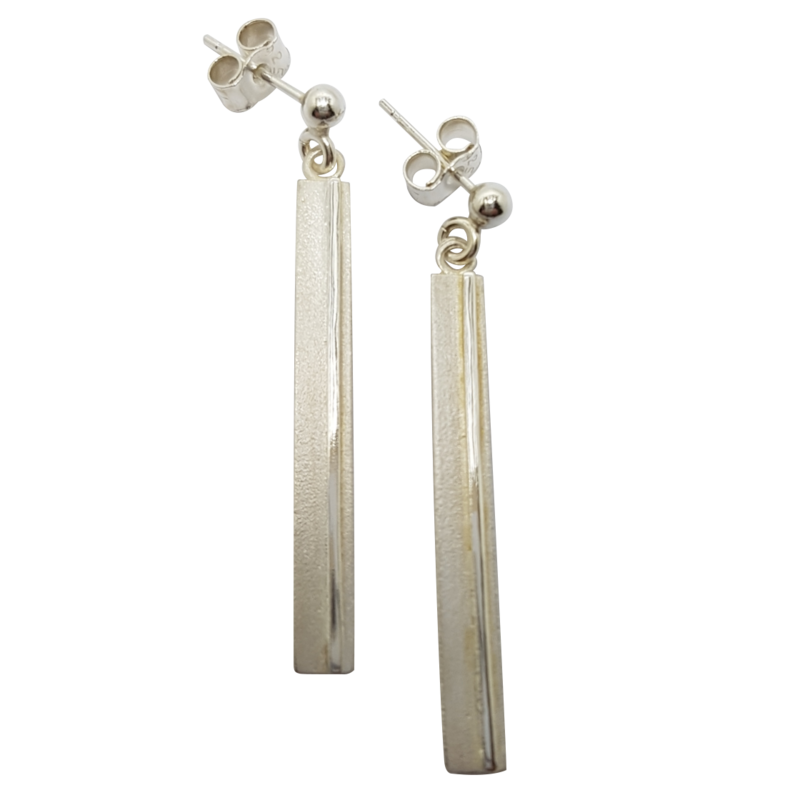 Our Linear earrings are part of our contemporary collection and are made exclusively by Love from Skye on the Isle of Skye. This simple, asymmetric design measures 33mm x 4mm, and can be made with your choice of hook or post & butterfly fittings. Our understated design features a dual-finish – the linear design feature being polished to create a contrast against the satin or matte finish of the silver.